Optoma has made two new key hires to help drive sales in the ProAV channel, an area that Optoma has committed heavily to in 2016. As one of the largest selling projector brands in the U.S., Optoma continues to focus on providing innovative solutions with maximum flexibility for the ProAV market. Long and Guentner bring deep experience in technical and channel sales that will further the company's position in ProAV. Ashanti Long has been hired as senior director, ProAv Sales NA. 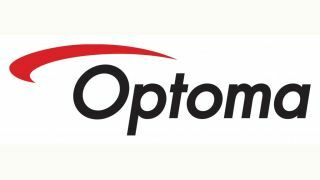 Long comes to Optoma from Black Diamond Video, where he served as vice president of commercial and federal sales for the last two and a half years. Prior to that, Ashanti spent seven years at AMX as an engineer, inside sales manager, and director of federal civilian sales. While at AMX, Ashanti helped develop successful channel and end user partnerships. Ashanti was also a design and test engineer at companies in the semiconductor and aerospace industries. Ashanti is based in Dallas, TX. Bob Guentner has re-joined Optoma as senior manager, technical sales and training for projectors. Previously, he worked for NEC as senior product manager with stints at Optoma as field sales engineer for product management and at Samsung in field sales. Guentner is based north of Chicago, IL.